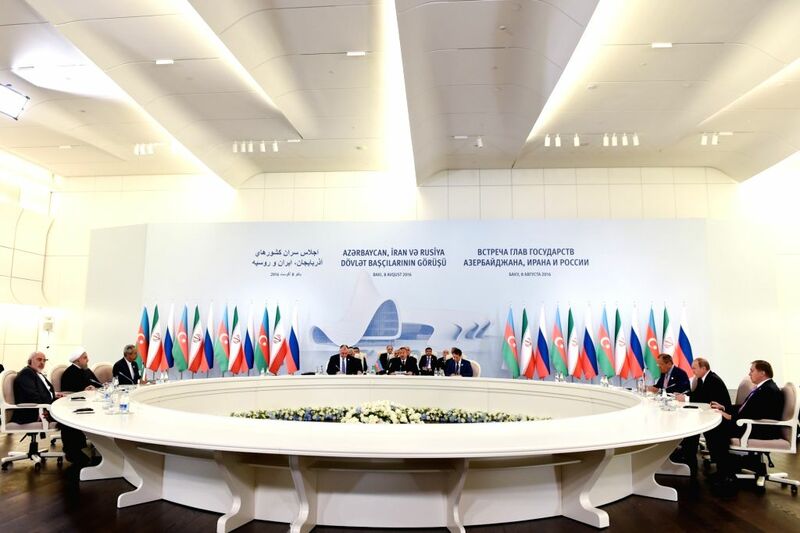 BAKU, Aug. 8, 2016 - Iranian President Hassan Rouhani (2nd L), Azerbaijani President Ilham Aliyev (C) and Russian President Vladimir Putin (2nd R) attend a trilateral meeting in Baku, Azerbaijan, Aug. 8, 2016. The meeting is expected to focus on trade, energy, communications, transportation, environment as well as the Syrian situation and the Islamic State threat to Russia. 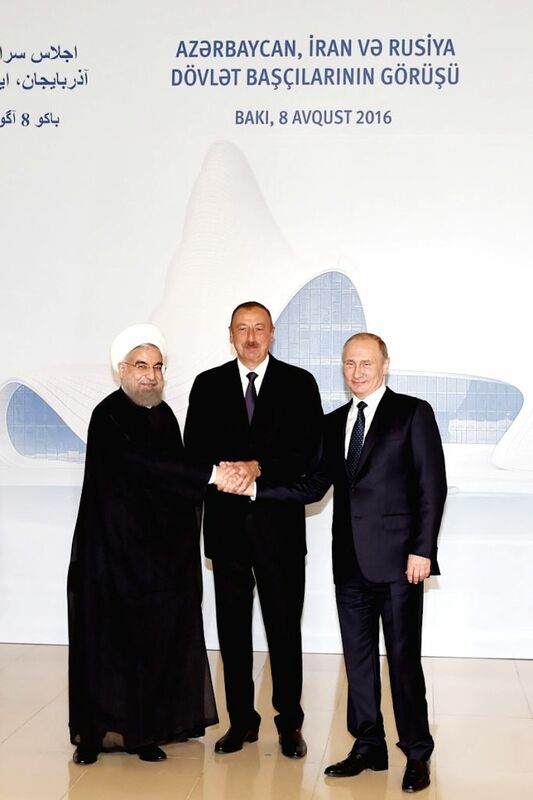 Iranian President Hassan Rouhani (L), Azerbaijani President Ilham Aliyev (C) and Russian President Vladimir Putin shake hands during a trilateral meeting in Baku, Azerbaijan, Aug. 8, 2016.